Alex Job has announced that his team will not race in the 2007 ALMS. The suggestion was that the team would take in the two major endurance races at Sebring and Road Atlanta, but that isn’t now in the plan: AJR will concentrate on running two Crawford Porsches in the Rolex Series. 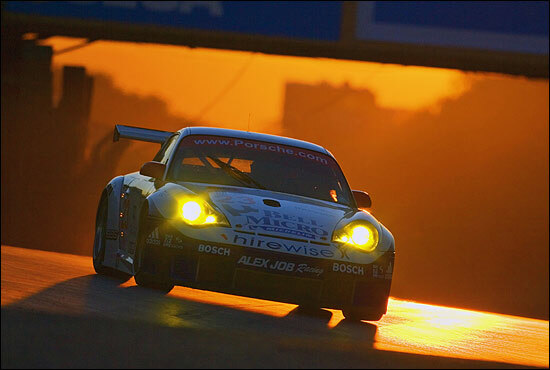 Alex Job Racing entered every single ALMS race since the series’ inception, and scored a remarkable 39 wins. In addition there were 46 pole positions, 79 podium finishes, three series championships - and two 24 Hour of Le Mans wins. 2006 wasn’t the best of seasons, with, surprisingly, just one win – at Houston, for Mike Rockenfeller and Klaus Graf.